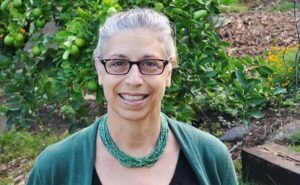 Catherine (Kitty) Courtney has more than 25 years of international and domestic experience in marine and coastal management, climate change adaptation and coastal community resilience. Courtney has worked for Tetra Tech since 1990 and has supported federal and state agencies, nongovernmental organizations and private companies on projects to design, implement and administer coastal resource management and marine environmental research programs in temperate and tropical ecosystems throughout the Pacific. What is USAID’s interest in marine tenure and small-scale fisheries (SSF)? Through its commitment to reducing poverty and empowering communities to manage their own development, USAID is interested in developing a deeper understanding of the role marine tenure plays in supporting sustainable small-scale fisheries. Toward this end, USAID’s Tenure and Global Climate Change (TGCC) program developed a Sourcebook of good practices, emerging themes and entry points for programming in marine tenure. The Sourcebook drew upon the findings of scholarly research, policy documents, development projects and publications by development practitioners, researchers and nongovernmental organizations. In addition, the TGCC program developed a Primer and support tools for USAID staff and partners as a companion document to the Sourcebook. The Primer is designed to integrate consideration of marine tenure explicitly in the design of programs and projects involving small-scale fisheries by providing tools that can be applied at different phases of the programming cycle. The need for, types, and testing of these support tools were informed by stakeholder consultations and field visits in Bangladesh, Indonesia and the Philippines. Largely invisible in development programming, small-scale fisheries contribute to a diverse array of development activities including economic development, biodiversity conservation, food security, and poverty alleviation. Small-scale fishers typically form the food security and economic backbone of coastal communities. Small-scale fishing is typically part of a family livelihood strategy that combines multiple livelihood activities employing different members of the household. Small-scale fishing not only supports subsistence household needs, but also engage in fish production for local and global markets. They are active all along the value chain from pre-harvest, harvest to post-harvest with both men and women undertaking specific tasks. As such, there is a need for development programs to look to the sea to secure marine tenure and sustainable small-scale fisheries. Tenure and property rights problems can significantly undermine or prevent successful implementation of development programs. Small-scale fishers and coastal communities with secure tenure over a given fishery, fishing ground or territory have a strong interest in acting collectively to manage their resources sustainably. The diversity of community-managed marine tenure institutions in the world reflects the importance of adapting the details of marine tenure governance and resource rights arrangements to suit social, cultural, political, economic and ecological conditions. Although these marine tenure institutions are extremely diverse in terms of membership, governance systems, technology, leadership and geographic scope, understanding how they endure and identifying emerging threats provides lessons on how they can be strengthened in the face of new challenges such as climate change and globalization. As such, this work helps shine a spotlight on the need for explicitly integrating marine tenure in development programming. What are key achievements/successes from this TGCC activity? A key achievement of the work was the articulation of a theory of change for supporting sustainable small-scale fisheries that begins with secure marine tenure rights for resource users, supported by effective co-management arrangements and embedded in an ecosystem based management approach. This theory of change encapsulates key themes in the Voluntary Guidelines on Securing Sustainable Small-scale Fisheries in the Context of Food Security and Poverty Alleviation (SSF Guidelines; FAO 2015). One of the support tools in the Primer is designed to help USAID staff and partners take stock of the status of implementation of the Securing Sustainable Small-scale Fisheries Guidelines and identify gaps and recommendations that can be addressed through program and project design. Though USAID staff and partners were aware of the SSF Guidelines, few had reviewed or applied them to take stock of the foundation needed to support sustainable small-scale fisheries in their own programs or projects. The development and field testing of an assessment framework based on the SSF Guidelines increased awareness for the need for a holistic approach to securing sustainable small-scale fisheries that includes marine tenure as a key element. Sustainable small-scale fisheries can support multiple development objectives. USAID has a long history supporting an array of coastal and fisheries management projects to support biodiversity conservation objectives. The development context for sustainable small-scale fisheries, however, is much broader than biodiversity conservation. Development partners should seek innovative ways to diversify and align investment portfolios to support the enabling conditions for securing sustainable small-scale fisheries. This work identified opportunities for supporting a range of programs by focusing on the role marine tenure and small-scale fisheries can play in achieving multiple development objectives. Responsible governance of tenure in small-scale fisheries needs to be considered explicitly in program and project design. Responsible governance of tenure involves respecting the rights of small-scale fishers and fishing communities to the resources that form the basis of their social and cultural well-being, their livelihoods and their sustainable development. National legal and policy frameworks, administrative and judicial systems, effective co-management arrangements, dispute resolution mechanisms, local participation and empowerment, and strengthened institutional capacity are all key ingredients of responsible governance of marine tenure. A more explicit approach would seek to (a) define and secure the full bundle of tenure rights, including exclusion, withdrawal/access, management, enforcement and alienation rights; (b) identify and build the capacity of national and local tenure governance bodies to secure these rights; and (c) invest in the generation of social-ecological system knowledge to better characterize the complexities through supporting baseline assessments and monitoring. The integration of marine tenure in situation models and theories of change will strengthen development programming in rural coastal areas. Marine tenure systems need to be supported by effective co-management arrangements and embedded in an ecosystem approach to management. There are many social, economic and environmental drivers of change that are beyond the capacity for small-scale fishers and coastal communities to address. For marine tenure systems to be resilient under changing conditions, they need to be embedded within effective co-management arrangements with government and other partners who maintain a demonstrated capacity to recognize and support the community’s resource use rights. As such, if macro-scale drivers of change and ecosystem-scale pressures beyond the control of local resource users and communities, such as population growth and urbanization in the coastal environment, overfishing from competing large-scale fishers, habitat degradation from land-based pollution and land reclamation and climate change are identified and addressed at multiple scales of governance for multiple sectors, then community-scale marine tenure institutions will have the capacity to support a range of broader development goals including economic growth, food security and resilience.